The NSA, Snowden, and Bradley Manning: In praise of government secrecy, and the limits of perfect transparency. 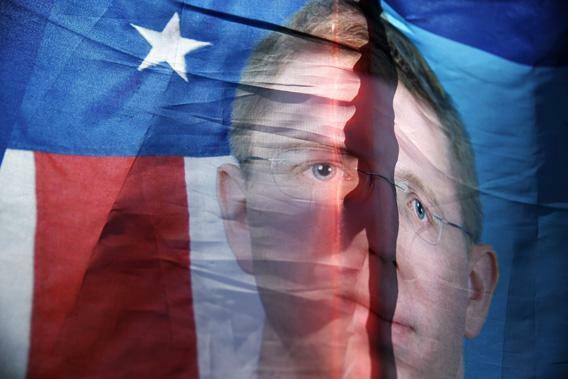 The false choice between “secrecy” and “transparency” in the Manning and Snowden debate. A “Free Bradley Manning” sign during a demonstration outside Ft. Meade in Maryland on July30. Bradley Manning and Edward Snowden’s defenders make what seems like an unassailable argument grounded in democracy: In a democracy, the people discipline government officials who act badly by throwing them out of office, but they can do so only if they know what the government does. Hence, government policy and activities cannot be secret. Manning and Snowden, by defying secrecy, are heroes to democracy, as shown by Congress’ efforts to revise NSA powers in light of Snowden’s revelations. But this “democracy requires transparency” argument is incomplete. Consider the opposite argument, which we can call “democracy requires secrecy.” People exercise their democratic rights by directing the government to engage in various projects. In many cases, these projects can be effective only if they are secret. People who disclose projects that work best if they are conducted in secret undermine democracy by depriving the people of the most effective tools for governing themselves. Thus, the debate is not “democracy vs. security,” as the press has invariably framed it. It is, paradoxically, “democracy vs. democracy.” The secret ballot is the most famous illustration of the essential role that secrecy plays in a democracy. The secrecy of the ballot protects people from intimidation so they can vote sincerely, but it also enables a dishonest government to manipulate elections since people’s votes are not publicly verifiable. Commentators always emphasize the importance of openness to democracy, forgetting that secrecy is just as essential. Often they treat secrecy as a disagreeable golem that lurks unwanted in our democracy, whose claims must be entertained but should be treated with the utmost skepticism. The New Yorker’s John Cassidy, for example, celebrates Snowden (and Manning) for generating huge gains in public accountability, while discounting the government’s claims that he caused serious harms to national security by revealing methods to enemies who can henceforth evade our spies. Cassidy apparently doesn’t believe these government claims, perhaps because the government doesn’t offer up the corpses of agents as proof. But if the government can punish leakers only after proving that they have caused severe harm, then it will rarely be able to punish them, because the harm—or how the harm was caused—must itself remain secret for national security purposes. Courts have long recognized this problem, which is why they developed the state secrets privilege, which enables the government to avoid disclosures on its own say-so. This doctrine receives nothing but scorn from commentators, who should laud it for promoting democracy by empowering the people to direct the government to engage in secret activities. Some say we can evade this paradox by limiting secrecy to narrow domains of government activity. The usual line is drawn around national security. But such an argument does not rescue Manning and Snowden—who disclosed national security–related secrets. And in any event, even this argument collapses before the democracy-vs.-democracy paradox. It is precisely in cases of national emergency that the government poses the greatest threat to the people. When enemies threaten, the people are most willing to tolerate extraordinary action and put their trust in their leaders. If we don’t know where the troops are, we might find out too late that they have crossed the Rubicon and taken up positions on the homeland. So if we willingly tolerate secrecy during emergencies, we ought to tolerate it whenever it furthers public purposes, even (or maybe especially) during normal times when the risk of government abuse is more limited. Another reason is that, in fact, all kinds of “normal,” nonemergency policies require secrecy. When we pay taxes and submit bills to Medicare or Medicaid, we hope very much that the government can keep that information secret. The IRS’s secret algorithm for detecting abuse of the 501(c)(4) tax exemption enraged conservatives because they believed that it was biased against conservative groups. But if the IRS were forced to disclose its auditing algorithms, tax cheaters could readily evade detection, and the democratically approved goal of raising revenue for public projects is defeated. Secrecy is just as essential to democratic governance as transparency is—neither is conclusively more important than the other—and the risk of abuse is the price we pay for the benefits of effective policy. Could courts provide a way out of this thicket? Many think so, arguing that judges can prevent government abuse while protecting secrecy by examining compromising evidence in camera. This sometimes works—judges can handle FOIA requests and trade secret disputes. But recent events prove that courts do not escape the paradox, and indeed are sometimes subject to it themselves. The secret Foreign Intelligence Surveillance Court was set up to review intelligence-related surveillance activities. The court consists of regular judges with the independence that comes from lifetime tenure, but it deliberates in secret and issues secret opinions. The founders of the court sought to preserve secrecy while still subjecting the government to a check from the independent judicial branch so that it would not abuse its powers. There is a significant irony at work here. Government filing cabinets overflow with thousands of secret legal opinions written over decades by executive-branch lawyers without the participation of any court. Secret legal opinions—“secret law,” if you want—must exist as long as secret government activity exists. I myself wrote one of these opinions when I was in the Justice Department 20 years ago (it involved a very unsexy accounting issue). If the CIA must follow the law, but cannot reveal its activities, then it must ask for legal advice which is then kept secret, given that any legal opinion must describe the (secret) facts to which it applies. The legal opinions are filed away, and then relied on when the question recurs, and thus they effectively become a body of secret “law.” The FISA court took over a small portion of this executive-branch secret lawmaking, but rather than increase our confidence in the executive branch, it has reduced our confidence in the court. So then a court, too, cannot resolve the conflict between secrecy and transparency—or, as I have insisted on, democracy and democracy. But the solution is staring us in the face. Our representative (as opposed to direct) democracy does not require public knowledge of every government action. It is based on the idea that public intervention will be episodic, based largely on very broad outcomes (is the economy doing well? Do we feel secure?) and values (are government officials corrupt? Can we trust them?). It is not based on specific policy choices. An array of secret government actions will produce an observable outcome—prosperity and security at some level, or not—and on that (highly imperfect) basis the public votes. The risks associated with the loss of public control over specific policy choices in a large, representative democracy have been debated since the founding, but time and against this loss has been deemed a reasonable sacrifice in return for the benefits of living in a large, rich, and powerful country. The row currently raging over the government’s prosecution of Manning and pursuit of Snowden may remind us of these sacrifices, but it will not change anyone’s minds about the advisability of them. Expect Congress to drop the subject or to legislate some narrow limits engraved with large loopholes. The government knows that the public will blame it for failing to stop a terrorist attack, and not for abstract harms like collecting and holding our metadata. Only real harms like the jailing of dissenters or harassment of innocents could lead to a substantial negative public reaction to NSA surveillance and meaningful changes in the law. For all their revelations, Manning and Snowden have not shown that such harms have occurred.